Setting up a small business, be it offline or online, is not without challenges and a helping hand would always be welcome. The world of business is undoubtedly fast paced and a constantly evolving one, thanks to the ever-increasing impact of technology. Hence, businesses of today are left with no option but to understand and apply the huge potential of technology to be able to sustain in the market. This is where the need of virtual assistance is being felt by small businesses in many spheres. Successful business organizations are built on a strong system that is process-oriented, productive and efficient. The same applies to small business too as it needs to be viable and effective, to remain afloat in the hugely competitive market. A virtual assistant can be thought of as an individual that does the clean-up of the critical administrative works related to a business from a location remote to it. Its work includes (and not limited to) database entry, answering emails, handling social media, website administration and so on. 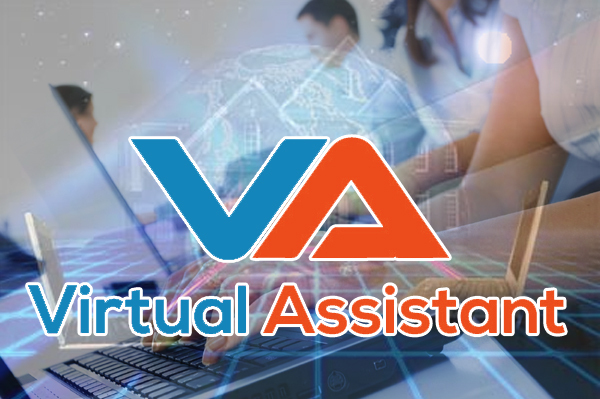 Virtual assistants are mainly freelance or contractual workers who prefer to work from a home office or offshore offices. They provide scope for enough flexibility in how little or how much of your work you intend to delegate. They can help a business to perform its day-to-day activities so that the business can focus more on their core competencies. 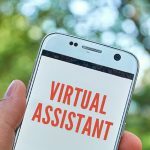 How can virtual assistants help? Operating costs are something that worries the small business owners a lot while they go through the grinds of setting up their businesses. 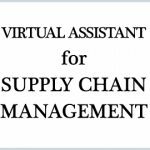 Virtual assistants can help them a great deal in minimizing the operational costs. When we will compare the cost of hiring a regular employee with that of a virtual assistant, we will find out that the latter costs much less to the business owner. He does not need to pay any fringe benefits, casual leaves, sick leaves or any retirement benefits to his virtual assistant. The virtual assistant simply needs to be paid for the time he works for. No money should be paid to the virtual assistant while he is not at work. In a small business, it is very important for a business owner to lead his team through examples. He should be able to gain the trust of his team members by doing core and challenging tasks rather than getting engaged in non-core activities such as sending newsletters, making travel arrangements, sending invitations for meetings, handling customer queries and so on. Such works do not add much value but become a never-ending cycle for a management. Now, having a full-time or regular employee for such tasks is nothing more than a waste of resources as a virtual assistant can easily be hired for these non-core activities. By outsourcing or diluting such non-core and less-important administrative tasks to virtual assistants, a small business can channelize their time and effort in a better way and optimize business activities. We need to note that time is a critical resource that cannot be wasted and used ineffectively. Proper scheduling of events can help the business owner to streamline the tasks he wants to complete on a given day and keeps him posted about the progress required to accomplish his goals. 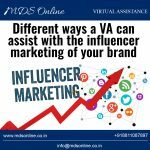 It is imperative that small business owners should recognize the value of having a virtual assistant and thus, spend their valuable time on core business activities. Therefore, a virtual assistant can make a real difference between a highly productive and a non-productive business. No business can be perfect and it applies to small businesses too. Every business can have its own area of weakness and this may pose quite a challenge to its system of regular operations. Virtual assistants can help in this regard by bridging the gap between desired and available skill sets. Virtual assistants are not remote workers anymore. Rather, they are professionals with lots of skills and can perform an array of business tasks. A virtual assistant can be hired for any specialized task these days, such as conducting product research for online companies and so on. It is the long-term goal for any small business, offline or online, to grow, flourish, bolster and scale to new heights in the business. It just cannot afford to be a flower that refuses to grow. Virtual assistants can help a business to attain its desired level of growth. There is no bar in time and place while employing a virtual assistant. If a virtual assistant from a different time zone can be hired online, a business can perform 24×7 basis. You can manage a virtual assistant the way you like. You can fire a virtual assistant when you feel there is less or no work. All you need to do is to simply end the contract. Doing such things with a regular employee may invite legal complications. Also, you need to spend less or nothing with virtual assistants when it comes to training as they are skilled professionals in their field. As soon as you hire them, they are up and ready for work. This enables a business to scale up as and when they require doing so. 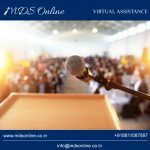 From the above discussion, it is clear that –a small business should use the power and huge potential of a virtual assistant proactively and effectively through a strategic approach. It can boost a small business to a great extent, both in long run, as well as in the short run. Delegating non-core tasks to virtual assistants allows a business more headspace to focus on bigger decisions, new projects and finding creative ways to take the business to new heights.